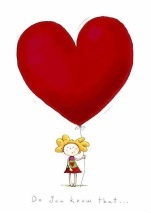 GFTH or Gift From the Heart is an annual event. 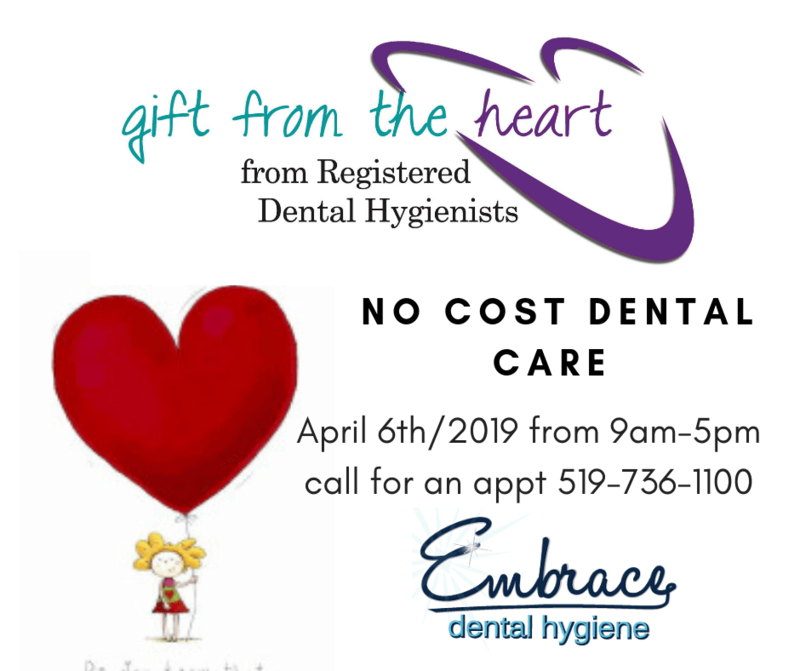 On Saturday April 06, 2019, registered dental hygienists across Canada are opening their doors and their hearts to provide no-cost preventive dental hygiene services as part of a national project. Embrace Dental Hygiene will be participating for the 4th year in a row. If you or someone you know is in need of dental care call the office to schedule a time slot. 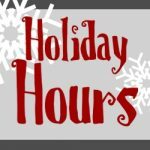 We will be open from 9-5 on Saturday and will see clients by appointment only. Appts will be booked based on first come first serve basis. Feel free to stop in and enjoy some refreshments and oral health samples. 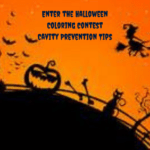 Preventative dental hygiene care is necessary to help avoid painful, health limiting and traumatic dental procedures. Every year many people are hospitalized for dental pain including children. Regular prevention like dental cleaning, oral health assessments, and oral cancer screening is your insurance protecting you from oral disease. For the tenth consecutive year, the “Gift from the Heart” event provides registered dental hygienists the opportunity to reach out to their communities and help members of the public who may be financially unable to afford oral healthcare or have difficulty accessing dental hygiene services. There are more than 150 participating locations all across Canada where the public can register to receive no-cost dental hygiene services. “The profession of dental hygiene is forever evolving and this one day event, the “Gift from the Heart”, provides registered dental hygienists the opportunity to come together and educate everyone on the importance of preventing oral disease for a healthy mouth and healthy body”, says Bev Woods, CDHA member, event founder and CEO. Call 519-736-1100 or email jen@embracedentalhygiene.com for more info or to book your visit.